Hey Style Lovers, happy Friday! It’s been a long, productive week, and boy I am I happy it’s over! I’m ending the work week with a look that I truly LOVE. I actually feel like I’m cheating on my favorite color pink, because I can’t stop wearing green. 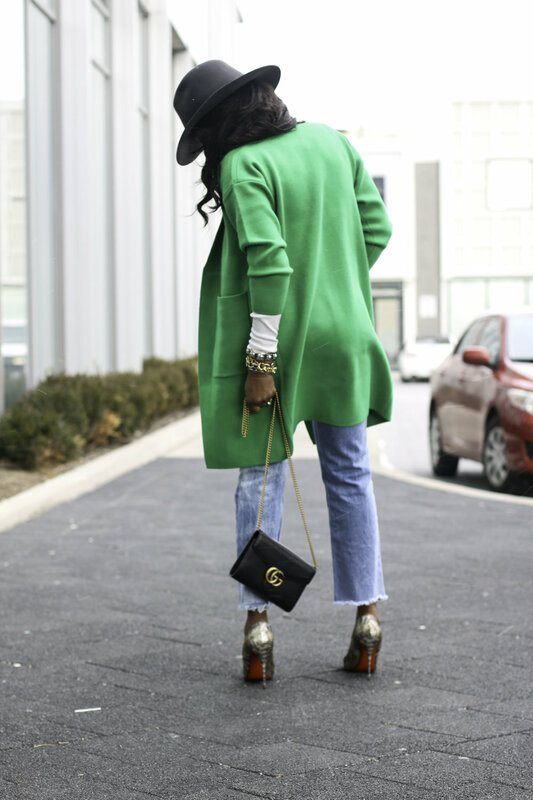 Today’s post features this absolutely stunning emerald green sweater coat by Ziza Boutique. 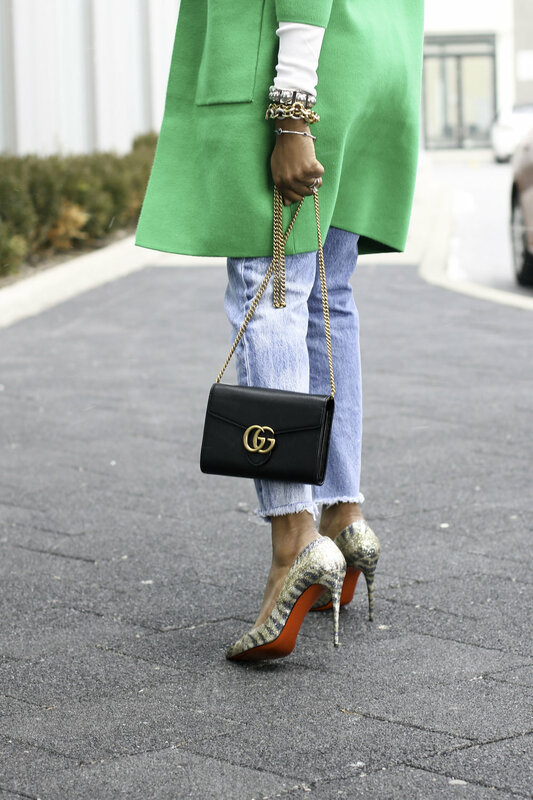 It was love at first sight when I laid eyes on the coat, and I knew I had to style it. 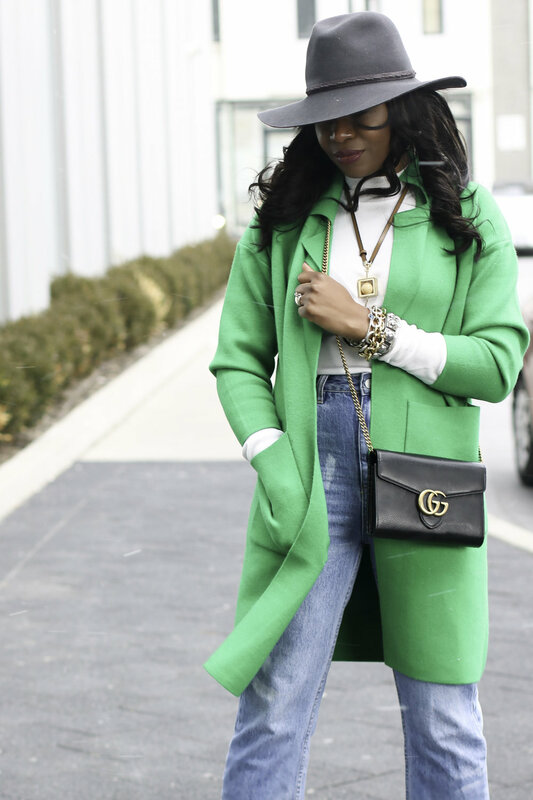 I wanted to do something a little different with the look, so instead of dressing up the coat, with a pair of dress-pants or a pencil skirt, I decided to give it a more relaxed edge. The overall vibe of the outfit is more casual, but with the addition of my pumps, bag, and other accessories, the outfit becomes alive. By introducing the right accessories, I was able to create a look that is stylish, classic, chic and perfect for a number of occasions. I hope you love this outfit as much as I do, check out Ziza Boutqiue and use the links to shop this look. Thank you so much guys and have an amazing weekend.